Getting a clean shave can be hard to do. Finding a high quality, stylish looking, but also efficient trimmer is not an easy task. Sensitive areas such as your neckline and face deserve to be treated with great care. The Andis Slimline Pro Li and the Andis Slimlone 2 are great for shaping your mustache or touching up your beard. You are sure to have all your trimming needs met with both of these high-quality trimmers. 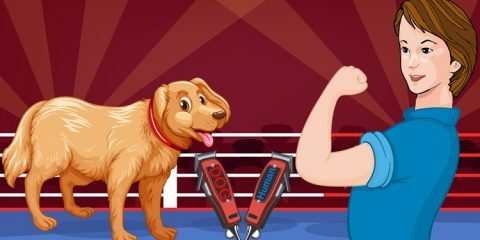 While these two trimmers are very similar in many ways, they also have quite a few distinct differences that could be a make it or break it for you. Varying in everything from size to their charging time, you can see a breakdown of what to expect when it comes to the Andis Slimline Pro Li vs. Slimline 2. 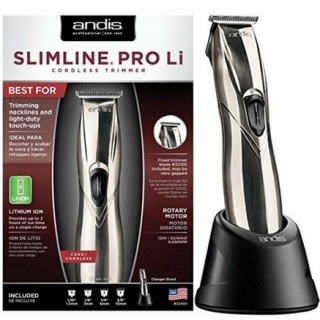 To help you determine which Andis Trimmer will be best for you and your specific needs, I’ve created a list of similarities and differences in this Andis Slimline Pro Li vs. Slimline 2 table. Charging Time 2 hours 8-24 hours. 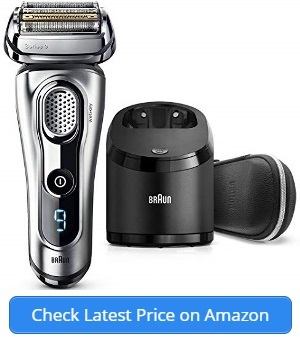 This Andis brand trimmer is well known for it’s ability to help trim necklines and do touch ups on your beard and hair. This cordless trimmer runs on a high-speed motor that is sure to get the job done when it comes to your neckline. Its quiet demeanor is a plus, as is the long life and powerful delivery of a smooth trim or touch-up around the neck. It is very lightweight which makes it easy to do precision cuts. The motor has been recently improved allowing for the lighter weight as well as better performance. You can also zerogap the blades. This feature allows you to get the absolute closest cut possible with a trimmer like this. 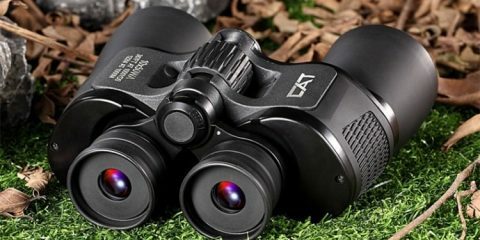 The Andi Slimline Pro Li can run for up to 2 hours. The battery is made with lithium ion. It requires only 2 hours and 15 minutes to recharge. This recharging time is one of the quickest out there. The ability to use it without having to deal with a cord is a big advantage. The blades on this trimmer run at 6000 strokes per minute; this is more powerful than some clipper styles even. I never have to worry about achieving a close shave look when doing my touchups. 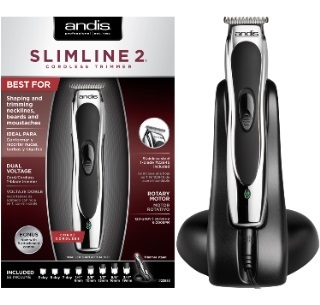 The Andis Slimline 2 is a trimmer that is good for edging your hairline, facial hair or even trimming your beard or for making short hairstyles. The Andis Slimline 2 is sleek in design and durable in quality. With a rechargeable battery, you can plug your Slimline in when you go to bed and wake up with it ready for use on your beard, mustache or neckline in the morning. You will need to charge it for a full 24 hours after receiving it in order for it to properly work. After the first use though, you will only need to charge it for 6-8 hours in order for it to work for an extended period of time. The dual voltage feature allows you to take your trimmer with you when you travel to ensure that you always look your best. One major feature is how lightweight and slim the design is. It makes it very easy to use, especially when you are styling your own hair. You can easily twist and turn and get behind ears and under the jaw bone. The rotary motor lets this trimmer operate at a high speed. It comes with 8 different guards ranging in size from 1/16″ to 3/4″ and uses a T Blade to create a clean look when shaping or trimming. Though not cordless, the 2-meter-long cord is the perfect length to efficiently shave. Both the Slimline 2 and the Pro Li have the ability to be recharged by plugging the trimmer into a charging stand, making them an easy way to maintain a clean look. I recommend a rechargeable trimmer over a battery operated one as it is easier to maintain and saves you from having to constantly worry whether you have batteries or not. The rotary motor allows both the Pro Li and Slimline trimmer to work at a high speed, powerfully providing a smooth look, while also remaining quiet when getting the job done. I am able to wake before my wife and trim my beard up without disturbing her when I have early morning meetings. Each trimmer comes with additional accessories to provide you with the best looks. The Slimline comes with 8 different sizes of guards ranging from 1/16″ to 3/4″, while the Pro Li comes with 4. The four sizes are 1/16″, 1/8″, 1/4″, 3/8″. Both trimmers also come with a special blade oil and brush(s). The oil and brush can also be used to clean the blades. Sleek and sophisticated, both the Slimline and the Pro Li are great options. They differ slightly in size, but their elegant looking shell and metallic color makes for a luxurious trimming experience. Both easy to grip, the Pro Li and the Slimline 2 are slender in shape, preventing your hand from tensing up when trying to carefully shape or trim. Whether you’re trimming your beard every day or just touching it up once or twice a week, the added bonus of these trimmers being easy to clean is great. To clean, all you need is the blade oil and/or a brush or soft towel. One drop of oil goes a long way, so just drop one in the blades. Turn the blades on to make sure you let the oil coat over all the blades, then use the brush or towel to wipe the blades off. Unlike the Pro Li, the Slimline 2 uses an older generation of the T-blade that cannot be zero gapped. The Pro Li on the other hand uses a D8 T-blade. Both trimmers work well for the achieved look of a smooth trim. The D8 T-blade allows the Pro Li to get closer than some clipper models though. I really enjoy how close the Pro Li blades get when shaving my mustache. The blades are so sharp, making it really easy to quickly and carefully shape my facial hair even when I am in a rush. The Pro Li is made with a lithium ion battery. The Pro Li has the option to recharge while also being battery operated. Being a cordless device, it requires 1 AA battery for use. If you like the classic cord feel though, then the Slimline 2 is the choice for you. It has a 2-meter-long cord and requires no batteries in order to function. Though having a cord can be a nuisance at times, I do enjoy the fact that I can wrap the cord around the trimmer and the charging dock when traveling, which makes packing it that much easier. The Pro Li takes only a little over 2 hours to fully recharge before its next use. The Slimline 2 takes a while longer. Upon arrival, it is recommended to charge the Slimline 2 for a complete 24 hours prior to using. After the first use, you can plug in overnight and it should be well charged for use the next morning. The Pro Li does require a battery to operate and it is cordless. The Andis Slimline 2 is dual voltage allowing you to take the device with you wherever you go when you travel, without the added battery to keep up with. This feature sets the Slimline 2 apart from the Pro Li. I really enjoy being able to take the Slimline 2 with me on business trips. Sometimes I need a quick touch-up but forget to do so the night before and then don’t have time the morning of. I just grab the trimmer and take it along with me, touching up once I arrive to my destination. Most trimmers are relative in size, but these two trimmers do have some slight sizing difference. The Pro Li weighs 8 ounces and has the dimensions of 8.1 x 2.8 x 5.2 inches. The Slimline 2 however is lighter in weight, weighing in at 4.8 ounces. The dimensions of the Slimline 2 are 4 x 5 x 7 in. The Slimline 2 has a nice lightweight feel to it. There are a variety of trimmers out there to choose from. And I don’t know about you, but when it comes to sensitive areas such as my neck or around my face, I want something that is great quality. Purchase an Andis brand trimmer and you’ll be able to find one that is high speed, long lasting and elegant in appearance. These trimmers last for years. When it comes to the Andis Slimline Pro vs. Slimline 2, I personally find that the Andis Slimline Pro Ligives me a cleaner look, as the blades are extremely sharp and provide a close shave. 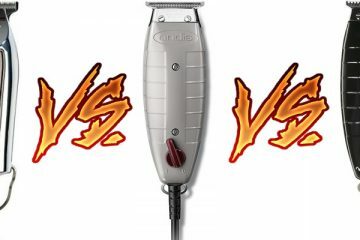 Wahl Detailer vs Andis T-Outliner vs Andis GTX: Which One Of These Trimmers Is Better? 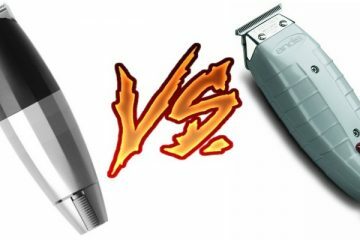 Wahl Senior vs Andis Master: Which Clipper Is Better? 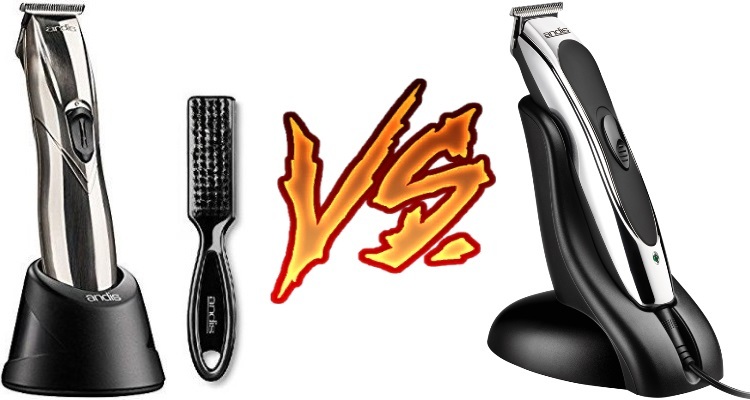 Bevel Trimmer vs Andis: Which Is Better?